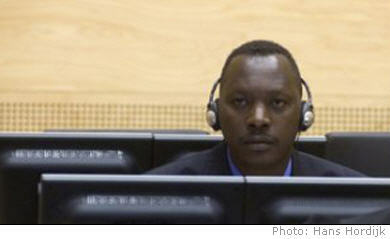 The International Criminal Court (ICC) today announced its decision to reverse its earlier suspension of the trial of Congolese rebel leader Thomas Lubanga Dyilo, accused of recruiting child soldiers to serve in his militia. The judges of the Court’s trial chamber – which is based in The Hague – have suggested 26 January next year as a provisional date for the start of the trial. The ICC also said today that Mr. Lubanga, the founder and leader of the Union of Congolese Patriots in the Ituri region of the eastern Democratic Republic of the Congo (DRC), will remain in its custody until his trial commences. The accused is charged with a series of war crimes, including conscripting and enlisting child soldiers into the military wing of his group and then using them to participate in hostilities between September 2002 and August 2003. In June, the Court decided to impose a stay of proceedings in the case, noting that there was no prospect that a fair trial of Mr. Lubanga could be held because prosecutors had failed to disclose more than 200 documents to the defence containing evidence that could potentially have exonerated the rebel leader. The trial chamber today said it was reversing its earlier decision because the reasons for the stay have “have fallen away.” A press release issued by the ICC said that the full reasoning will be given in a written decision in due course.